Eurogamer’s Digital Foundry just revealed, as part of their ongoing exclusive Project Scorpio coverage, that the upcoming Xbox console will support AMD’s FreeSync 2. 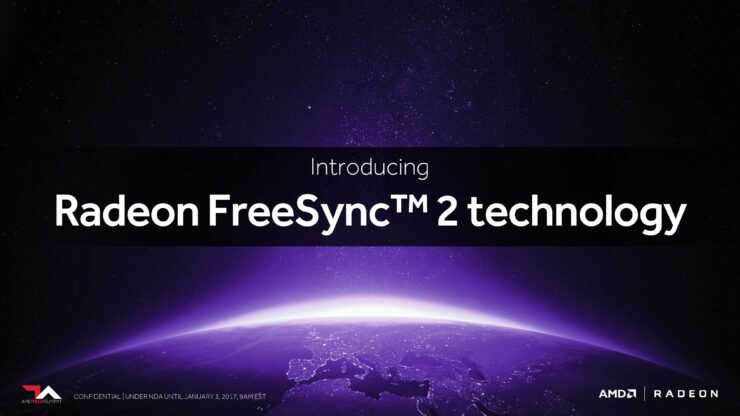 As you will certainly remember if you are a regular reader of Wccftech, AMD revealed FreeSync 2 at CES 2017. Among the new minimum requirements of compatible displays, it’s worth mentioning Low Framerate Compensation (LFC), setting a maximum on screen latency (around a few milliseconds) and doubling color as well as brightness spaces to accommodate for High Dynamic Range (HDR) support. In fact, Microsoft has actually implemented the FreeSync 2 standard, meaning compatibility with HDR and full support across the range of potential frame-rates. Paired with a supported screen, this will even eliminate tearing on games running with adaptive v-sync with frame-rates under 30fps, something not supported on most FreeSync 1 screens (VRR range varied on a per-screen basis, with 40Hz to 60Hz commonplace). Scorpio’s adaptive sync support is baked in at the system level – the developer doesn’t need to worry about it (though they could enable higher frame-rate caps for VRR users if the overhead is there). And on top of that, it works across all Xbox content that runs on the new console – Xbox 360 backward compatible titles and Xbox One games. According to Eurogamer, this could potentially allow developers to target arbitrary frame rates such as 45 or 50FPS. Still, it seems unlikely that it will happen anytime soon as game developers would have to put additional work into such an endeavor – after all, most Scorpio owners will be playing on TVs but there are none yet with HDMI 2.1 support. Still, it’s an exciting addition to already impressive hardware. What do you think of Scorpio so far? Do you plan to buy the console? Tell us in the comments.